There are certain memories that deserve a space in your home or office: your daughter’s first recital, your son’s first steps, and that magical honeymoon adventure. These special moments shouldn’t just live on your phone or computer. Let’s think outside the frame! Transform these once-in-a-lifetime moments into real works of art with the Snapfish app. You’ll unlock 50 free prints every month when you use the app to order! Go ahead and print all 50 or just your top 10 faves. Need a little inspiration? Here are five of our favourite ways to display Snapfish prints. 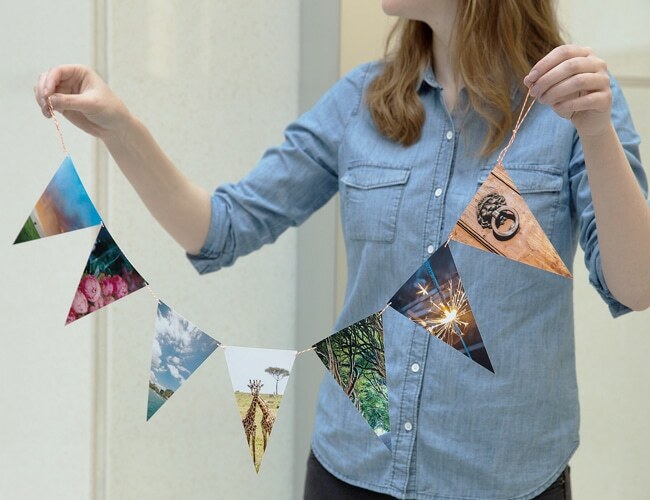 Binder clips, paper clips, clothespins—just about any type of clip can transform a bare space into something artistic and make your photos pop. Simple accessories can make a big difference. 2. 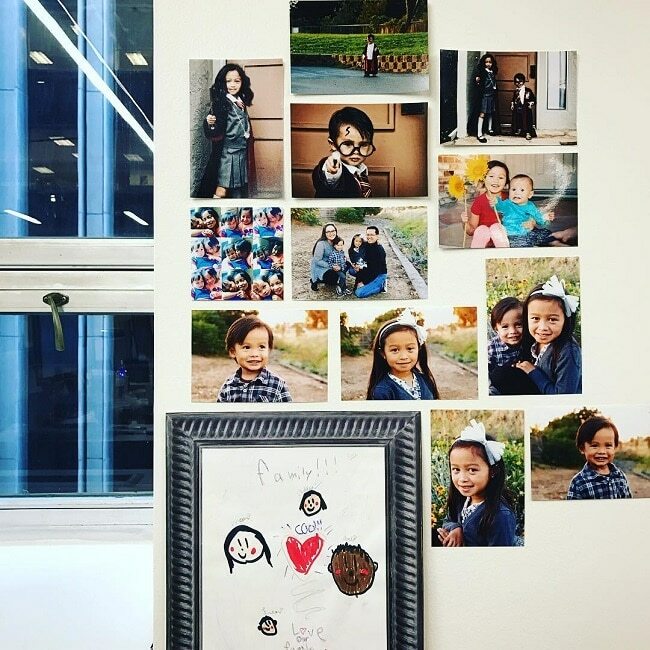 Make a cubicle collage. 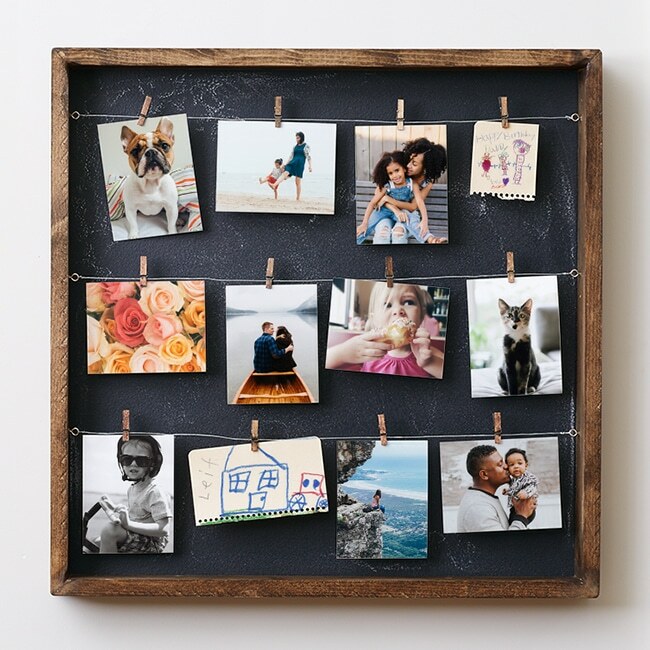 Bring some happiness into your office environment by creating a one-of-a-kind collage of cherished moments. Keep loved ones close while you’re at work with pictures that will increase productivity by 200%. Photo by @tishatish. 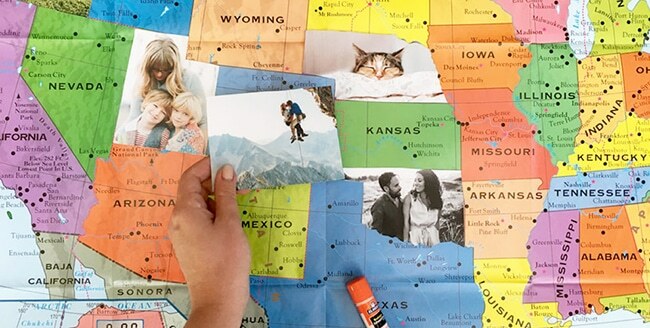 Document your travels by printing photos and cutting them into the sizes of the states you have visited. 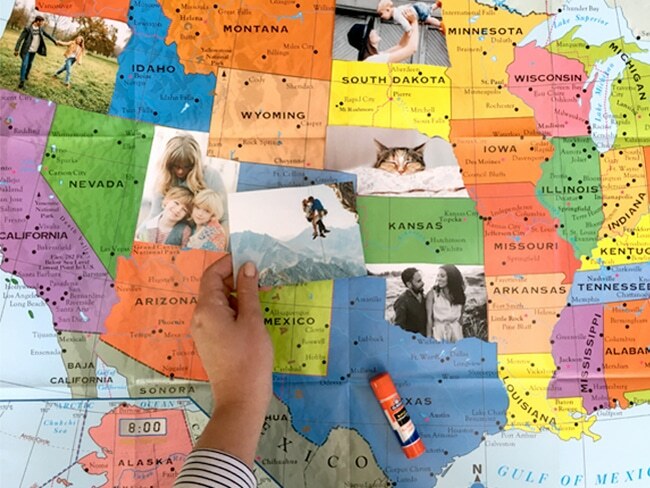 It’s a great way to reminisce about where you’ve been and choose where you travel next. 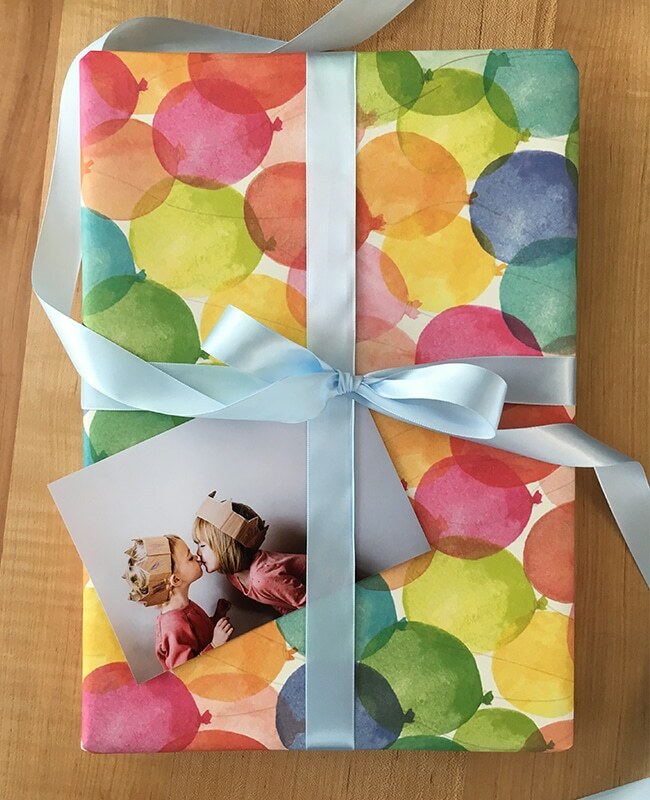 Add a special touch to gifts by placing personal photos on top. This simple add-on will make your gift stand out from the crowd. Plus, it’s two gifts in one! The recipient now has a great photo to frame or add to a growing photo collection. Great for a baby’s nursery or adorning a spare corner in your home, a banner is the perfect way to display prints in a casual, artistic way. Tip: Make a banner from your recent vacation photos, or print a monochromatic photo set with a similar colour scheme. Check out this blog post for the DIY instructions. Share the creative ways you’ve used your photos by tagging @SnapfishUK and #SnapfishUK on Instagram! A CREDIT FOR 50 FREE 6×4″ STANDARD PRINTS WILL BE APPLIED TO YOUR ACCOUNT AFTER YOU DOWNLOAD, OPEN AND LOGIN TO THE SNAPFISH APP. ADDITIONAL CREDIT FOR 50 FREE 6×4″ STANDARD PRINTS WILL BE AUTOMATICALLY APPLIED MONTHLY FOR A TOTAL OF 12 MONTHS. UNUSED CREDITS WILL EXPIRE AT THE END OF EACH MONTH. NO PROMOTION CODE NEEDED; CREDITS WILL AUTOMATICALLY APPLY UPON CHECKOUT. ADDITIONAL PRINTS WILL BE CHARGED AT REGULAR PRINT AND DELIVERY PRICES. OFFER EXCLUDES COLLAGE PRINTS. PRINT OFFER ONLY APPLIES WHEN ORDERING FROM THE SNAPFISH APP. OFFER DOES NOT APPLY WHEN ORDERING FROM SNAPFISH.CO.UK. Clip it, a wonderful idea for any size frame for anywhere in the house. A great use for my free prints! Thank you Snapfish.